This family boat has seen more summers at Rotto than most and has been exceptional every step of the way. 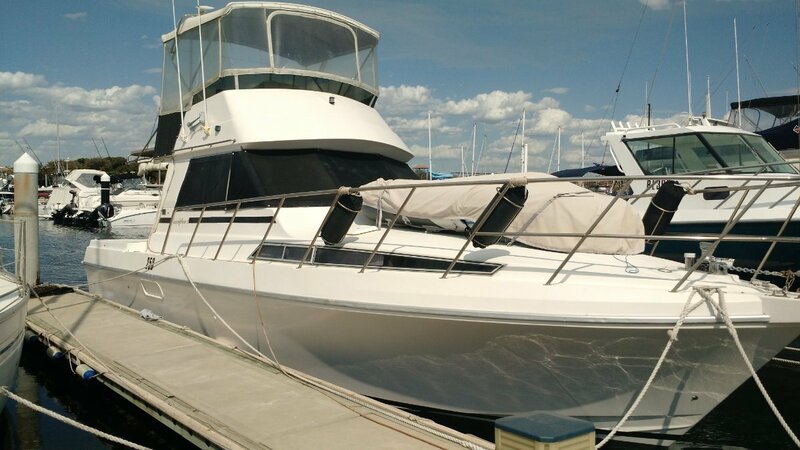 The owners of this magnificent family vessel aren't getting the use they would like out of their beloved Prescription II and are looking for new owners to love this boat like they do. For more information on this vessel please call Tim Swan on 0412 563 319. At One Brokerage we pride ourselves on personalised service. Whether you are looking for a new boat, pre-owned boat or a boat share we can help. We are dealers for Fairline Yachts, Regulator Marine, Horizon Yachts and Boat Equity. With offices in Perth and Sydney we can cover an Australia wide market. Our services include brokerage, syndicate management, berthing, insurance and maintenance.